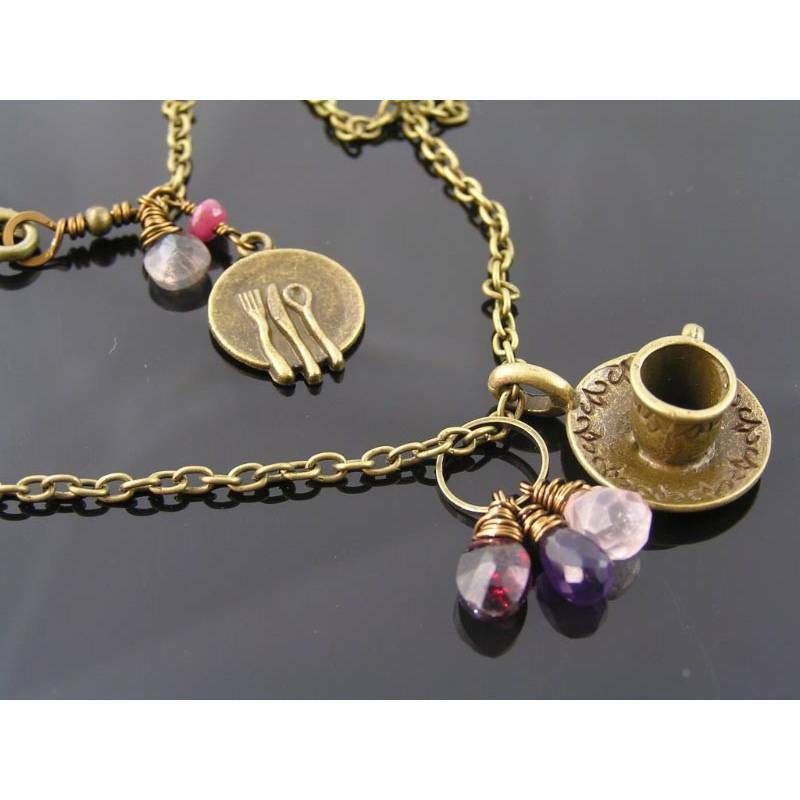 Perfect necklace for cook, tea drinker or just as a fun piece. Wouldn't this be the perfect present for a cook, a tea drinker or just any person who loves some fun with their jewellery. This collage necklace has a detailed 3D tea cup charm attached as well as a gemstone cluster pendant. 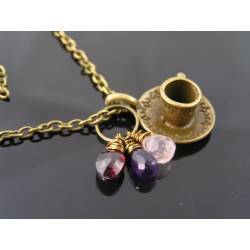 Gemstones are: garnet, amethyst and rose quartz, all micro faceted, sparkling drops. On the opposite side, next to the clasp, I attached a cute little plate-with-cutlery charm, connected via a genuine ruby set link and a shiny labradorite drop. 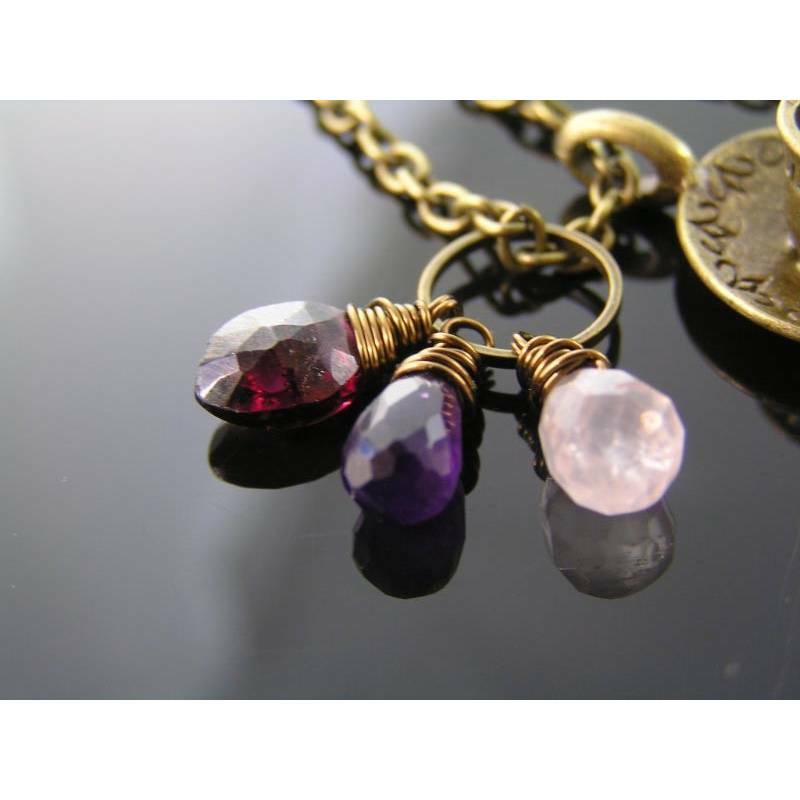 You can decide to wear the clasp to the front and that way have all charms as pendants. 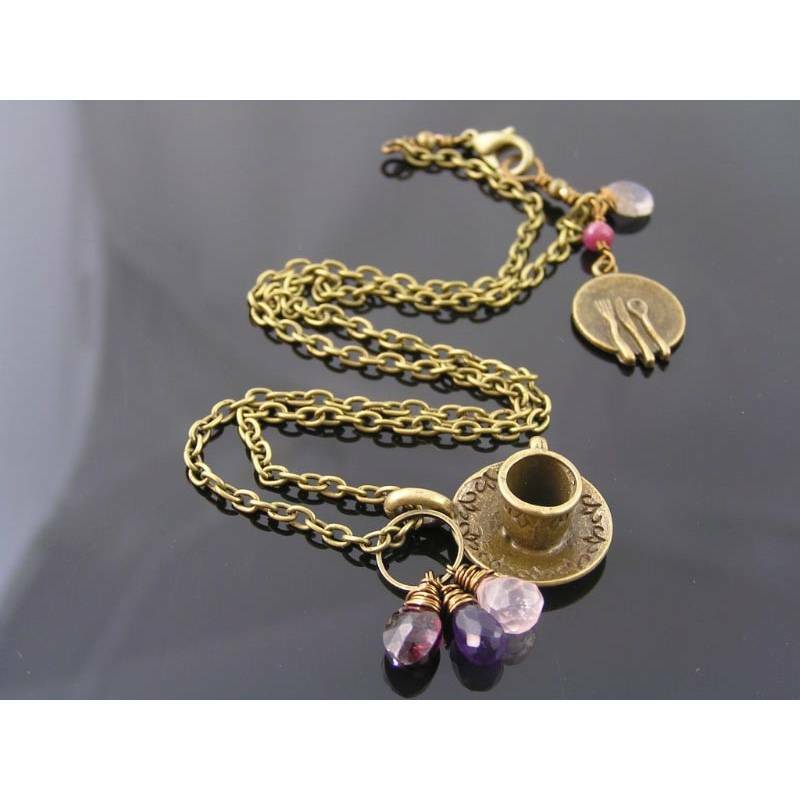 Total length of the trace chain is 40cm and it closes with a lobster claw clasp, the tea cup charm is 25mm in length. All metal is antiqued bronze finished.